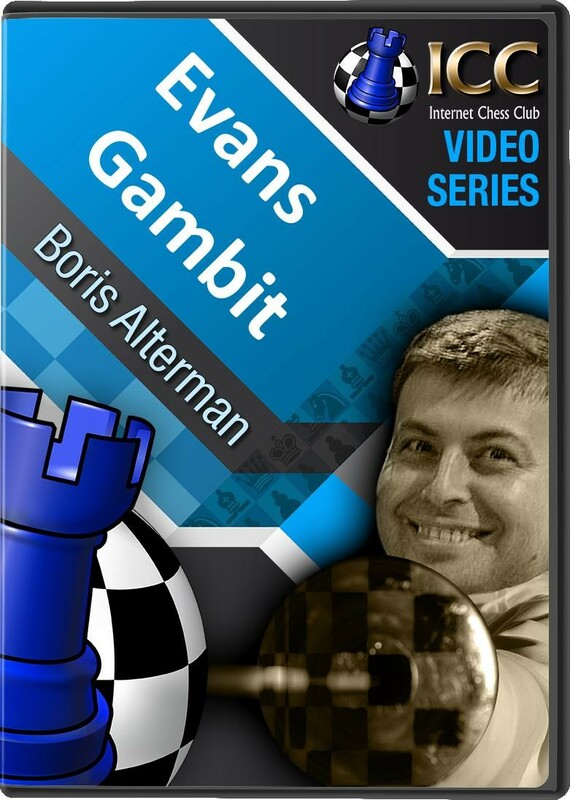 GM Boris Altermans presents a 4 video series investigating perhaps one of the soundest of the romantic gambits from the 18th century that is still used at top level in the game today - The Evans Gambit! GM Boris Altermans presents a 4 video series investigating perhaps one of the soundest of the romantic gambits from the 18th century that is still used at top level in the game today - The Evans Gambit with 1 e4 e5 2 Nf3 Nc6 3 Bc4 Bc5 4 b4!? Captain William Davies Evans was the captain of a sailing packet carrying mail between Milford Haven and Waterford in Great Briton in the 1820s. During one of these crossings the gallant captain suddenly discovered a promising new fourth move for White And so, the Evans Gambit was born coming at the height of the romantic period in the game, the swashbuckling gambit soon took the imagination of the chess world and was adopted by the likes of McDonnell, Labourdonnais, Anderssen, Moprhy, Chigorin and Steinitz. However, despite never being refuted, the gambit went out of fashion at the turn of the 20th Century only to come back in dramatic style in 1995, when Garry Kasparov rehabilitated this venerable old gambit. 1 e4 e5 2 Nf3 Nc6 3 Bc4 Bc5 4 b4! ?